SoundRoots World Music & Global Culture: Can Music Save Turtles? “What’s this one called?” I point to a massive, red and purple crab claw lying on the table next to an assortment of bones, seeds, and reeds of different sizes. 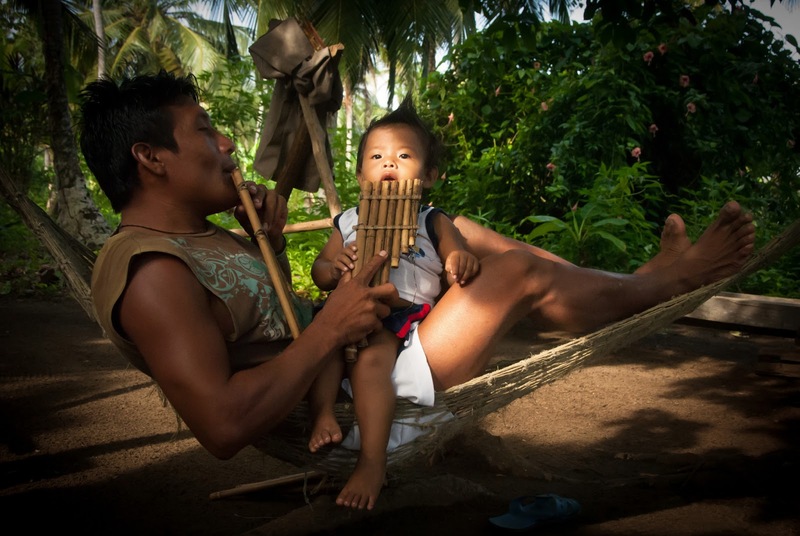 This ancient form of music belongs to the Guna Indians who live between the rainforest and the ocean on the Caribbean coast of Panama, near the border with Colombia. 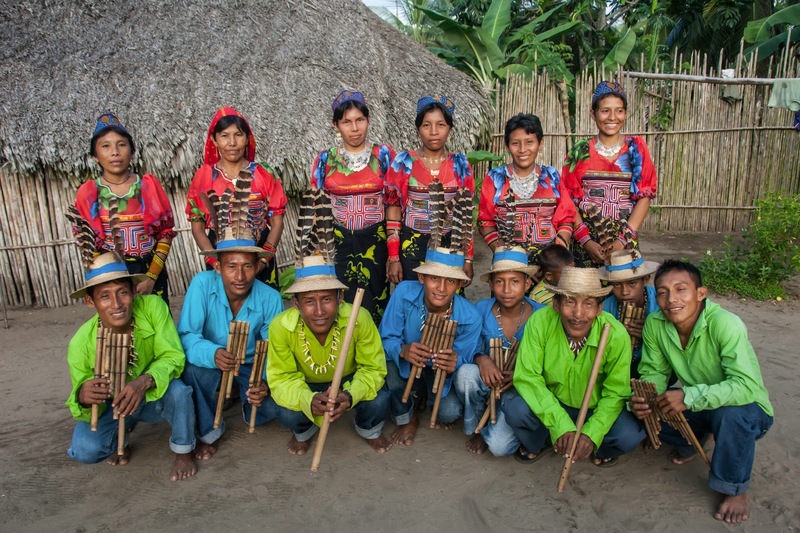 Their songs and dances represent a deep connection and understanding of nature which, despite strong external forces, still persists in certain villages along the coast. 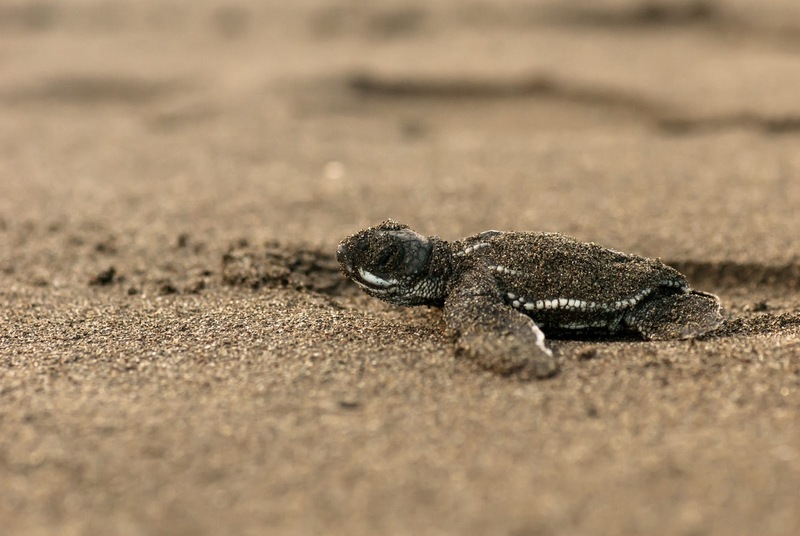 In Armila, the southernmost and arguably most traditional Guna village in Panama, the 600 inhabitants share their small, 4-kilometer beach with the world’s fourth largest nesting aggregations of leatherback sea turtles (Dermochelys coriacea). During May, it’s not uncommon to see 90 females nesting on that single beach in one night. Cultural taboos and old bedtime stories have prevented the exploitation of these turtles which are sought after in other parts of their world for their meat and eggs. community, culminating in a documentary produced by Ocean Revolution and my brother, Terrill Mast, which was aired at the behest of Guna leaders at the 2010 International Sea Turtle Symposium in Goa India. Armila has responded by partnering with national and international conservation groups, such as the State of the World's Sea Turtles (SWOT) Minimum Data Standards Program, under whose auspices I visited the region in 2011. However, with a rapidly growing population that finds itself in a precarious state of cultural transition, this unique system of traditional resource management may find itself pitted against the basic needs of Armila’s citizens. Hawksbill turtles (Eretmochelys imbricata) once enjoyed the same special protection as leatherbacks, but protein scarcity and a deterioration of traditional culture has caused locals to resort to harvesting their eggs. Sahila Esterbino, one of Armila’s chiefs and spiritual leaders, explained to me during a council meeting that they are very worried about the future of their harmonious relationship with leatherbacks. Armila’s situation compelled my partner, Amanda Gibson and me to tell their story through music. This summer we collaborated with Gammibe Gun Galu and the Guna General Congress to record, produce, design, print, and distribute the first album of Guna music in order to help kickstart some of Armila’s conservation and sustainable development efforts. Proceeds from the album will be matched by the government of Panama to help build the infrastructure for a sustainable aquaculture project, designed to alleviate the pressure put on turtles by a diminishing fish stocks. The album, which can be purchase through our IndieGoGo campaign, also helps purchase equipment for the sea turtle conservation efforts in Armila and provides much-needed support to the most respected music group in the Guna Nation.